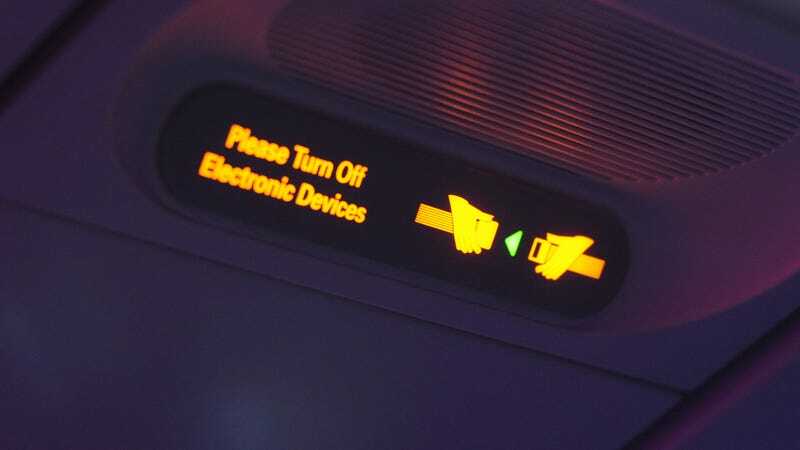 After announcing it would take a 'fresh look' at the ban of using electronic devices during takeoff and landing, the FAA has just announced that it'll be forming a new committee to study, analyze and reconsider the issue. That means there's a very good possibility that we'll be able to use our electronic devices whenever the hell we want when we're on a plane. The government-industry group will examine a variety of issues, including the testing methods aircraft operators use to determine which new technologies passengers can safely use aboard aircraft and when they can use them. The group will also look at the establishment of technological standards associated with the use of PEDs [portable electronic devices] during any phase of flight. The group will then present its recommendations to the FAA. The group will not consider the airborne use of cell phones for voice communications during flight.